Cranetech Australia has over 65 years combined experience in the truck and crane industry. All staff have extensive knowledge within these industries and are dedicated to supplying quality products as well as providing outstanding customer service. Cranetech Australia operates from a fully equipped modern facility based in Malaga, Perth Western Australia. Our highly motivated sales staff have extensive product knowledge and are backed up by the spare parts and service personnel. Cranetech Australia has comprehensive experience in repairing, installing and servicing all makes of truck mounted cranes, tail lifts, and tyre handlers. We are well placed to assist you with selecting the right piece of equipment for your application. 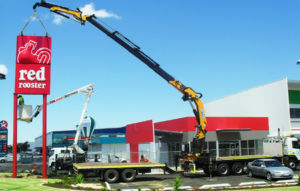 Cranetech Australia works hand in hand with Monty Products Australia. Monty Products Australia PTY LTD assists the mining and construction industries by supplying rock breaking, drilling equipment, and underground drifters. In addition, Monty Products provide speedy and high-quality service and repairs for a range of machinery and equipment. We are the official distributor for Montabert Rockbreakers in Western Australia and the Northern Territory, offering surface and underground drilling equipment across Australasia.